Pseudomesotheliomatous carcinomas (PMC) are rare tumors that clinically, macroscopically, and sometimes histologically resemble malignant pleural mesotheliomas. We report a case of a 91 year woman who was found to have diffuse nodular pleural thickening and a lung mass during a workup for persistent cough. She declined rapidly and died before a histologic diagnosis could be made. Postmortem examination revealed a tumor that diffusely involved the pleural surface with local extension into the chest wall, pericardium, and diaphragm along with a concurrent lung mass. Histologic examination showed poorly-differentiated cells predominantly arranged in sheets, cords, and nests with focal glandular differentiation. An immunohistochemical panel of calretinin, WT1, BEREP4, MOC31, and TTF1 confirmed the diagnosis of primary lung adenocarcinoma. The macroscopic, histologic, and immunohistochemical features used to distinguish metastatic and primary lung adenocarcinoma from epithelioid malignant mesothelioma are discussed. 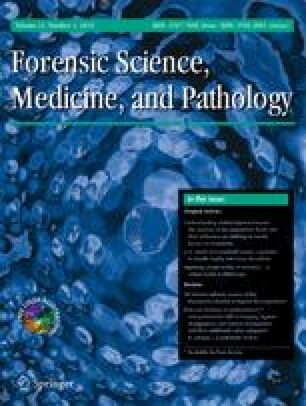 The distinction of malignant mesothelioma from pseudomesotheliomatous carcinoma is important for medicolegal reasons regarding asbestos related compensation claims. Martin Ishikawa, M.D. for serving as a consultant during the autopsy prosection. The article does not include participants that require their informed consent.